Board Games baby. That’s where its at. In August of 2010, I took over the domain SaskGames and started on a journey to make a website that would bring together a community of boardgame enthusiasts in Saskatchewan. My baby is almost four years old, and it has grown in ways I could not have imagined. 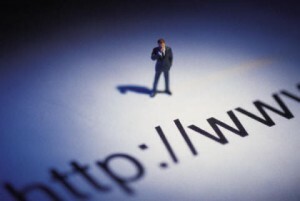 The basic premise for the site was spawned from a private site that I started a number of years ago. I set up the website that hosts this blog back in December of 2007. Basically, www.bixby.ca is used for two things; this blog, and a discussion forum site that we use to plan events for family & friends. The planning area of the site was so successful in the early days that I was prompted to create a public version of the model for organizing board game events and groups. Thus, the inspiration for SaskGames. I met a lot of resistance in the early days of SaskGames as the hobby is quite fragmented. There exists certain loyalties to specific stores, specific clubs, or specific styles of games. The idea of getting everyone to play well in the same sandbox was met with significant skepticism. I am not one to be daunted by a challenge, so I forged ahead anyways. I just felt that the existing communities had stagnated or become insular. Based on boardgame sales and indicators from other areas, it was obvious that the existing communities and clubs were not reaching a large segment of people interested in the hobby. One of the main ideas behind SaskGames was to create an umbrella organization that sits on top of all of the clubs, stores, leagues, and groups. If we could get everyone in the hobby to come to the same site to get information about events and the hobby in general, we felt that all of the clubs would experience interest and growth. It would be a means to let people in one group see what folks in another group were up to. Perhaps then, some people would venture outside of their insular groups. That has proven to be quite successful. Growth was slow and steady for the first couple of years, but the real explosion started when we created a weekly public game night as an outreach for the hobby; ChewsDay Challenge. The vision of that weekly event was simple: “Be friendly – Be welcoming – Be approachable.” It can be very daunting and intimidating for people outside of a group to know how to go about getting involved with a group that is already established. Some simple steps in this event addressed those things well. First of all, every week there is an appointed ambassador whose job it is to welcome people and get them involved. This hobby attracts a fair share of introverts, so removing that first barrier was very important. Secondly, everyone at the event must wear a name badge with both their first and last name. Social events are even more social when you give everyone a name. Additionally, every week, we get everyone to pause their game playing for some brief announcements. These announcements are a way to let attendees know about developments in the hobby and the community as well as info about the the event itself. It also establishes a means of communication and is another step in keeping the event friendly and personal. When we started, we were expecting about 12 attendees with the thoughts that we could grow the attendance up to about 20-25. We are now averaging about 50 people each week and there is a pretty even split between male and female attendance. Quite amazing. With the success of the weekly event, I was curious if there would be interest in a 24 hour boardgame event where attendees raised money for a charity. We partnered with Souls Harbour Rescue Mission as they are working to provide food and shelter for the homeless. Our event was called “24 Hours to Play with Your Food”. Again, we figured we may get 25 people interested and if we were lucky, we could raise maybe $5000. Imagine our surprise when we had 81 registrants and raised $14,000 for the charity. We were all blown away by the support and involvement for this event. 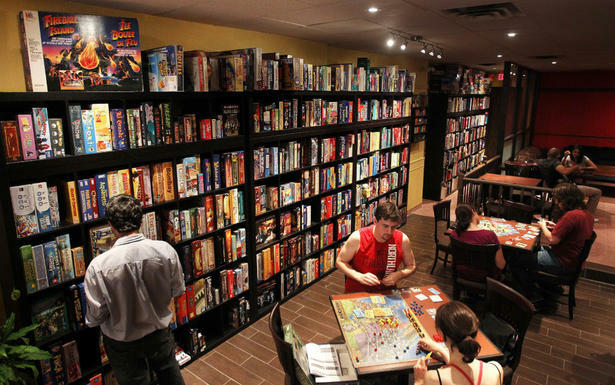 The success of these two events prompted a local boardgame store, ComicReaders, to host an all day boardgame event last January. The basic premise is that it would have the same philosophy of ChewsDay Challenge, but be much bigger. The first event drew in 160 people. Again, everyone’s expectations were greatly exceeded. The Prairie Game eXpo will now be held three times a year: January, June, & September. In January of 2014, we launched a SaskGames News Bulletin. This is a newsletter in PDF format that gets emailed to about 600 people. We figured this would be a 6-8 page production, but the support for content and articles has been fantastic and we are over 20 pages each month. Again, we were unprepared for how well this was going to be supported and received. The website now has over 650 members and is averaging well over 100,000 page views each month. The growth has been so strong we have established a leadership team around all of these initiatives. What once started as a humble project of mine has turned into a host of initiatives with many people at the helm. Sure, there are still a few dissidents and malcontents on the sidelines, but their voice is but a murmur now that we have a very strong community built around the various niche pockets of the hobby. It is very heartwarming and gratifying to see the vision of a few years ago bear fruit today. Today, I am grateful that my efforts have not been in vain. I am humbled by the outpouring of support for the whole suite of SaskGames initiatives. I will even venture to admit feeling a bit of pride, although I must safeguard to maintain proper humility and perspective. I am thankful that these things have increased my circle of friends as I have met some incredible people through these events. A strong community has formed, but that is the subject of another blog entry in the days ahead. I have always been a “thinky” person. Even as a kid, I was overly analytical. I liked to see what made things work. I took apart clocks and watches, built stuff, destroyed stuff, the whole nine yards. I enjoyed playing games as a young lad too, but then again, I think all children enjoy the act of play. When I was young, I got to play games like Monopoly, Clue, Payday, Careers, Masterpiece, Billionaire. All of the Parker Brothers classics. Most of the time, I played these games with other kids in my neighbourhood, and occasional games with mom or a brother. When I was 11 years old, I remember visiting my brother Phil in Alberta (I was living in Nova Scotia). 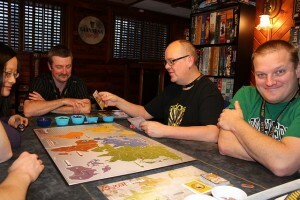 He introduced me to the game Stratego and I was blown away. It was not a roll and move game like Monopoly or Payday. It had elements of strategy I had not seen in other games. I really liked a game that made you use your mind. This was an important paving stone on my road to enjoying this hobby. When I was in my early teens, I went to Halifax with my older brother Charlie to spend the day. We stopped at a house in town where his buddy Peter Horne lived. Peter had a war game set up on his dining room table and I remember looking at the wonderful map with all of the cardboard chits with tanks and army men depicted on them. I was quite mesmerized. I always had a fascination with maps and to me, this game was an object of beauty. Years later, Peter and I would become gaming buddies although I never did get to play any of the old Avalon Hill classic Hex & Counter war games with him. We did play Supremacy, a session or two of Star Fleet Battles, and a few other games whose names I can’t remember. Many years later I moved to Halifax to go to community college and that is when I bought the Dungeons & Dragons basic set. I opened it, read through the description of the game, and was really taken with the thought that a game could be a narrative without a board. That is what really got me to take the plunge and start buying / acquiring material and pursuing gaming as a hobby. Peter Horne joined the D&D group I started and we had a good D&D game going for many years. During the tail end of my D&D years I got into Magic: the Gathering in a big way. Another interesting design that completed captivated me. As a Collectible Card Game it was expensive though. I did acquire a very large collection of cards in the early to mid nineties. At this point, if you are still reading along, if you are not a gamer than your eyes have probably glazed over and you are questioning why you are even reading this. No worries, this is pretty geeky stuff. In essence this was all just background information for where I am at with the hobby today. So, in the early 2000’s, I found myself living in Saskatchewan with a huge collection of Dungeons & Dragons materials and an even bigger collection of Magic: The Gathering cards. Neither game really resonated with me anymore. The demands of career and family took precedence. 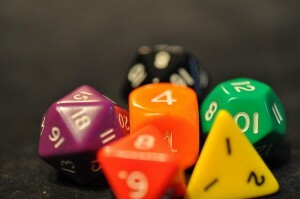 During these years, we would play a periodic game with friends, but nothing regular. This was a dormant period. I sold or gave away all of my Dungeons & Dragons books, modules, miniatures and magazines. Next on the list to get rid of were all of the Magic: The Gathering cards. It was around this time that I discovered modern “Euro” games. They are very well designed and have so many advantages over the games I knew from my youth. Nothing against Parker Brothers, but this new style of game was much more socially engaging. These games were quick to play, all of the players were involved in the game and not eliminated part way through, the themes and mechanics were fresh and inviting. 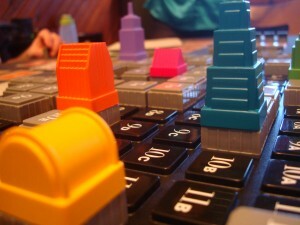 The European Designer style boardgames were designed with families and social engagement in mind. I decided that I would turn in my entire collection of Magic: The Gathering cards to a local boardgame store for a large store credit. I figured it would be enough for me to buy 20 to 50 boardgames and that would be more than I would ever need in my lifetime. A perfect collection of games spanning many styles and variety of play. What happened next was my full immersion into the hobby. In 2005 I started into the hobby in earnest; I acquired a number of games and started hosting regular boardgame nights for friends. Many of my friends were very taken with these new designs and our collection of games grew. It was around this time that I started to meet a lot of very cool people. This hobby attracts some of the most thoughtful and interesting people. Most of my close friends in Regina I owe to meeting through this hobby. Truth be told, I have met many cool people around the world, and many of them I call friend today. That, to me is damn awesome. I could go on and on, but I really should bring this back to gratitude. I really crave intellectual stimulation. The hobby in general allows me to focus my attention on some interesting challenges, mental contests, puzzles, or however else you would like to describe the mental immersion. I guess in some ways it is a means to side step some of the daily stresses we encounter and enter a microcosm that takes us away on a journey. Some games are full of theme. You can be part of a team of scientists trying to save the world from a host of deadly diseases, you can be a formula one race car driver burning around the track at high speeds. How about you are great leader in the midst of building the civilization of Egypt, Rome, China, Persia etc. In another game you could be expanding the lands around the walled city of Carcassonne putting your meeples to work as Knights, Monks, Farmers, or Thieves. 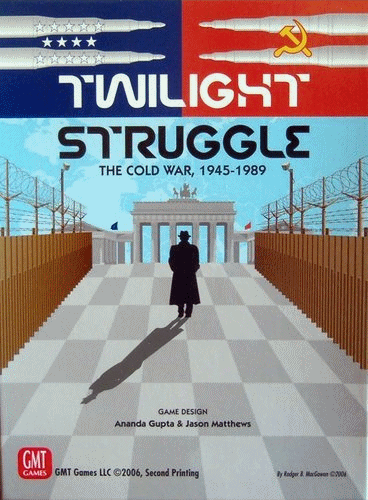 It could be that you would like to test your mettle with the tension of the cold war as you embark on a Twilight Struggle. All of these things are much more appealing to me than television. I do not mean to completely eschew television or movies, but I can only handle them in small doses these days. I much prefer an active form of entertainment to a passive one. I want to be a part of the journey or story. One could say that video games offer this, but they lack another important ingredient for me; people. Games are a fantastic way to socialize. Like I mentioned above, I owe many of my friendships to this hobby. Today, I am very grateful for this hobby. The countless hours of entertainment and the rich friendships I have formed. I owe a lot to the hobby that has given me so much. 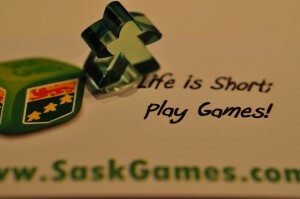 It is the enduring gratitude I have for the hobby that was the idea and energy behind www.saskgames.com The website is now 650 members strong and weekly gatherings indicate many other people derive a lot of pleasure from the hobby too. That warms my heart. Time for another gratitude entry directed toward my boardgame hobby. 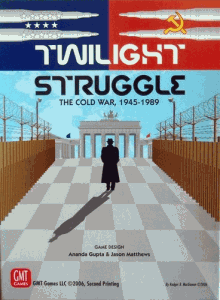 Last night I played a game of Twilight Struggle with Mark Macza. I was the USSR and he played USA. We have each played the game a few times so it was an enjoyable match between two experienced players. The game has a very large amount of decision tension and last night’s game was no exception. I think this game stands out for me as a real treat as I have not played it in quite some time. When I have played the game in the past, quite often the endgame is triggered by one of the players reaching 20vp for an instant win. This game went the full distance. It was like Rocky Balboa and Apollo Creed duking it out in the ring for the full match. We got to see many cards enter play that we have not seen played before from the the Late War deck. The card combinations were great, as Mark & I jockeyed the victory point marker back and forth. Mark made a number of moves that gave him a healthy lead in victory points, but I was generally able to bring the swing back to a centre point of balance. In the end, Mark and the USA ended up with 3 VP at the end of the game for the win. It was a nail biter to the bitter end. The game took four and a half hours from start to finish (including setup and tear down). We met and played at the regular Thursday night gaming gathering at the German Club. The game is not for the feint of heart. I find it to be one of the most compelling games I have played with a tightly integrated theme that immerses the players in the battle royale of the Cold War. I have blogged about the SaskGames site in the past, I have also blogged recently about upgrading the Bixby website to version 2.0 of SMF. Today I am thankful for a milestone reached with SaskGames. I went through the upgrade process and got the site up to version 2.0 from version 1.1.14. Along the way, I had to uninstall some mods that were helpful and it appears they may not be coming back anytime soon. In addition to the upgrade, I took the opportunity to restructure the welcome section to be more intuitive and easier for people to get helpful information about the site. We are now over 200 members and it is important to make things as intuitive as possible. Additionally, it looks like we will be better able to commodotize how members and staff contribute content and volunteer their time. A number of doors are opening that will ease my administration burden. I am glad that many have found this a useful endeavour and it is helping to create awareness for Thursday Night gaming at the German Club and even FRAG events. It is starting to bridge a gap between Regina and Saskatoon as well. Still lots of work ahead, but I am quite thankful to get the latest version installed and configured and configure the site to allow new member registrations once again. (Spambot registrations are the scourge of the internet in my opinion; I am glad this version has increased anti-spam safeguards). The responsibility of these projects tend to weigh heavily on me and I am relieved and thankful to have these latest milestones behind me. Hello. My name is Matt and I am a boardgame geek. There, I said it. 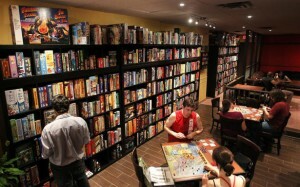 I suspect I will touch on my passion for boardgames a few times on this gratitude journey. Lately, I have been really wanting to go back to one of my old favourites and play Carcassonne. Carcassonne was one of the first Euro Games that I played and certainly one that has held up over the years as far as being enjoyable. Over the years, Kathy and I would spend an evening with a bottle of wine and a game of Mega-Carcassonne (main game with many of the expansions added in for good measure. With all of the extra tiles, this would end up taking a couple of hours or so. A fun way to spend the evening. I know there are many who really only enjoy playing the base game; we find quite a few of the expansions add some great twists to the game. Once you get to having a lot of expansions in play, it is best to only play with 2 or 3 people. The anniversary edition of the game just came out. 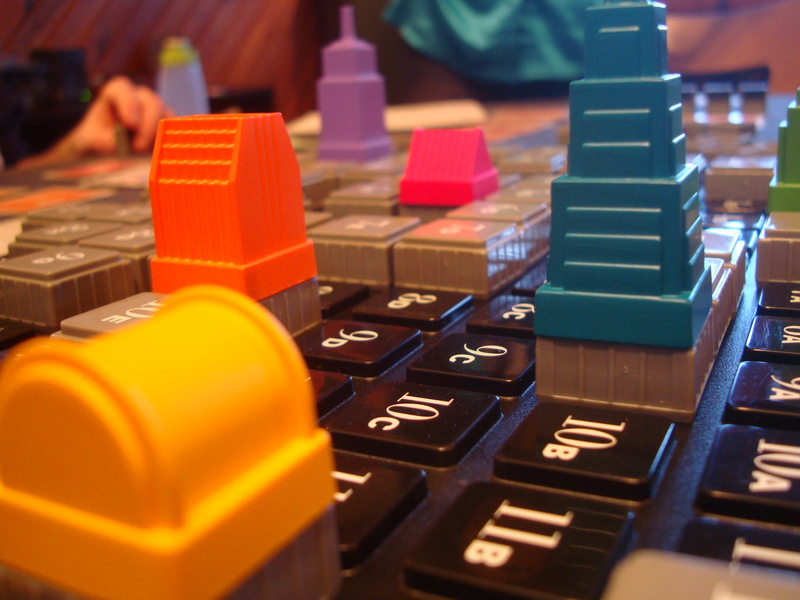 More meeples, more tiles, more options for play. I recall one of the files on boardgamegeek is an option chooser for Carcassonne. It has many of the various expansion rules broken down to a single image on a piece of paper. Before starting the game, you place coins on the options you are using for that game. Makes for an easy to use game selector and a good visual reminder for what options are in play. 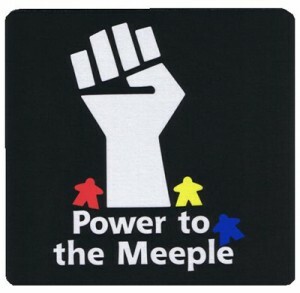 Here’s to the meeple, a modern icon for the boardgame hobby. 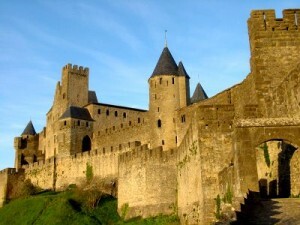 Here is to Carcassonne. The game has given me countless hours of enjoyment and I look forward to many more sessions. How old I am! I’m eighty years! 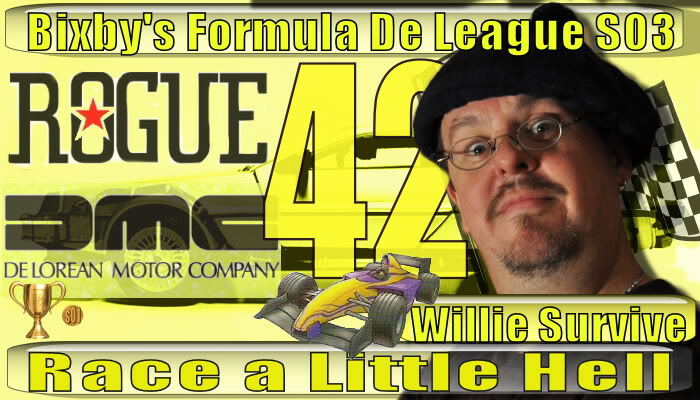 We are in our third season of our League for the racing boardgame: Formula De. Leagues add a great element to boardgames and creates a “meta game” above the actual boardgame itself. 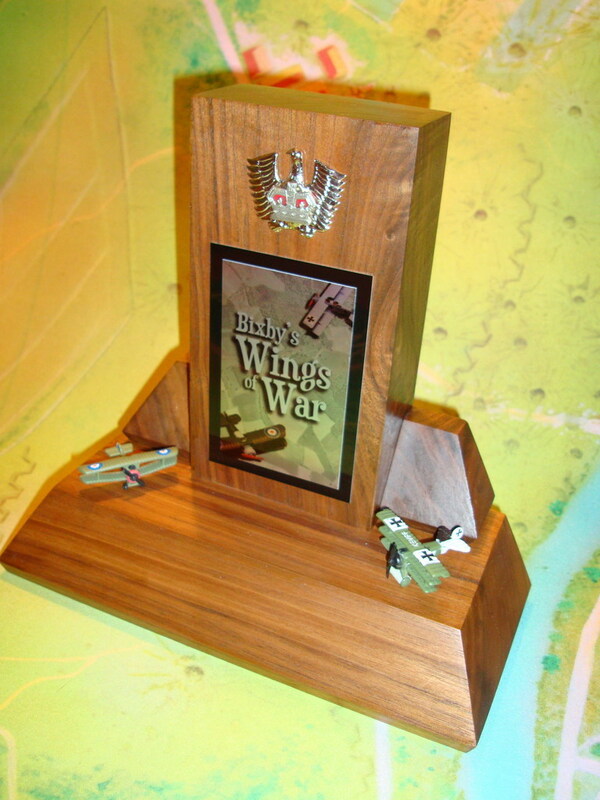 We are also still trying to finish up our first season of the Wings of War League, but it has stalled out a couple of times, mostly just needs the focus to keep it front and center. As a chronic organizer, creating a league structure must call to some inner need to create an organized format around a game system. It is rewarding to see the creation bloom and grow.There is also the continuity aspect. We have many people and combinations of people come to our house for boardgame nights. A league creates a tighter community as the group remains relatively constant throughout the course of the season. The point system highlights rivalries as players jockey to gain standings and points. The risk-reward elements of how you place on a single evening get augmented by the league standings. There are two games at stake. The evening game and the overall league. 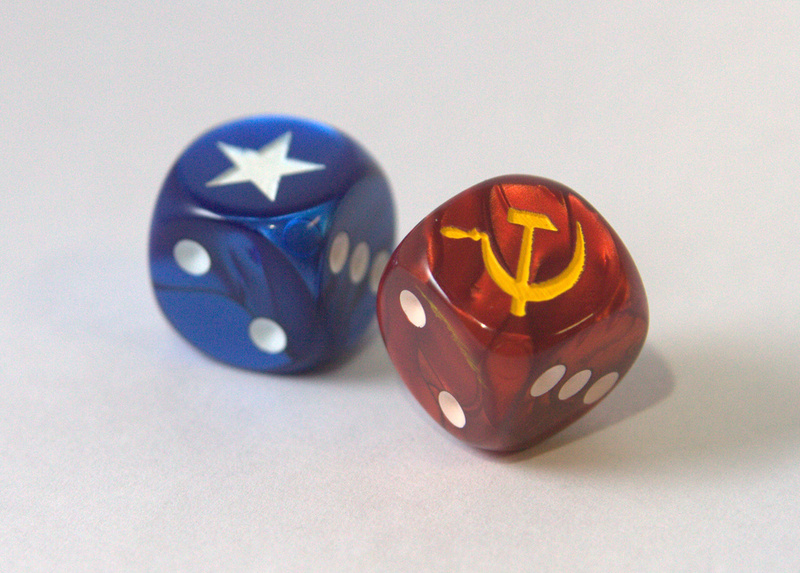 Makes for some fun trash talk and tension in each game night. I first started running leagues with the Poker For Hacks league that gradually evolved into the Bixby Series of Poker. Those have been very successful and highly attended. I enjoy the leagues the most when a system can be established that basically makes running the league easy and smooth. The first couple of poker seasons had me doing some ambitious stuff with side pots and the like and it became too much work to run the league, host the league, and do the reporting. The Wings of War League has suffered from that as well. I change the Poker from the complicated PFH to a much simpler BSOP and it is a piece of cake to run. 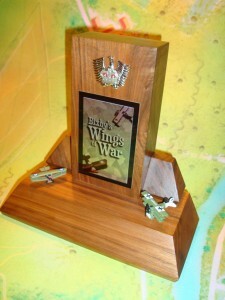 The Wings of War is still hosted at my place, but Bob Newis is at the helm for running the group now, so that is a huge burden off of my shoulders. There is certainly something to be said for the dynamics created by a league. I know there are many long running sports leagues in Regina. I am not referring to people actually playing the sport, but fantasy leagues, strat-o-matic, and other game like leagues. Many of these involve an entry fee or some other form of prize pool. For many of our leagues, we have players buy into the league with a six pack of beer and the beer becomes the prize pool. I think there could be an opportunity to turn this into a fundraiser of sorts. I enjoy the community and camaraderie that is created with this format. It is yet another form of community engineering. 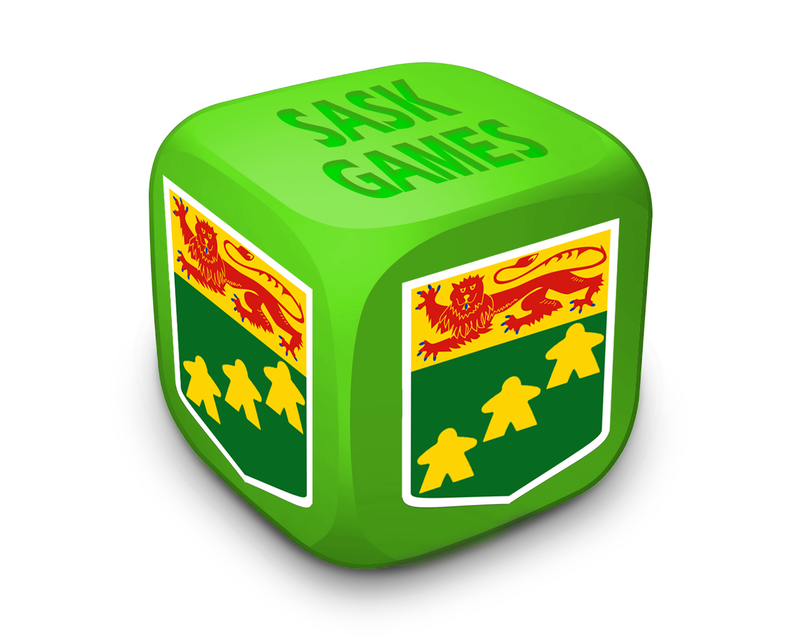 I think this is a potential growth area for the SaskGames initiative and could be used to grow the sense of community around boardgaming in Saskatchewan. It is all just another facet of the hobby that I am very grateful for. 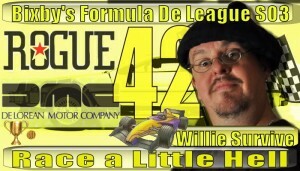 That, and my driver in the Formula De League came in first in last night’s race. Way to go Willie Survive. 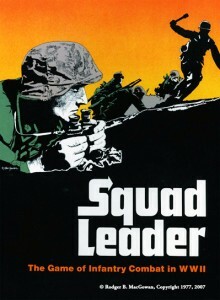 Last night I played a classic wargame published in the 70’s by Avalon Hill, Squad Leader. 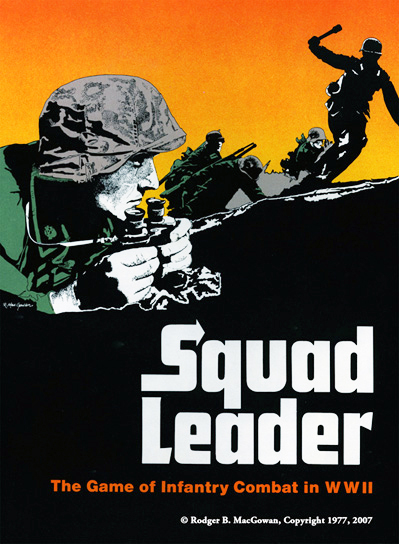 I have played a few other WWII games lately and it has kindled a desire to know more about the war. I managed to pick up a few books on WWII and have been reading about famous battles and the overall time line of the war. Many of the games I play create a keen tension around decision points. 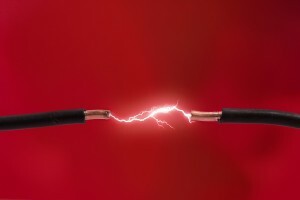 There are many risks and the decision angst is strong. I cannot imagine how horrific some of these decisions must have been in real life. Perhaps some of the allure of these games for me is that it reminds me of the cost paid in blood by so many. 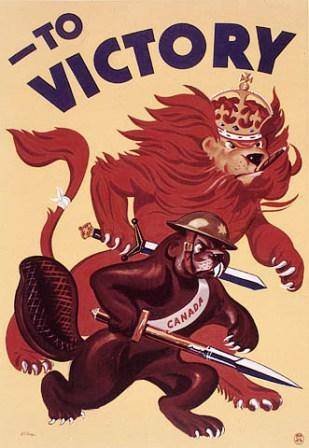 I always reflect on my granddad and uncles during Remembrance Day, I quietly honor their service in the two wars. I also give thanks that they returned from these conflicts. I am very fortunate to live in a relatively peaceful time. Sure there is conflict in the Middle East that Canada is involved in, but is certainly not in league with WWI & WWII. The Middle East conflict is a moral question of should we be involved, the two world wars were not, hence I say we are in a time of relative peace. It is a fascinating period in history. The monumental cost in life for the conflict is staggering. It really is beyond my ability to comprehend. I am glad that I have discovered an interest to learn more the war(s), I am glad that gaming has kindled a deeper interest to learn about that period in history. It is humbling on so many levels. I give thanks for this time of peace & safety. It is a luxury that I play games that are an abstraction of war rather than fight the real thing. I would be tremendously remiss if I did not acknowledge that distinction and offer sincere thanks to those who fought for my safety. A very evocative song that captures the cost of war. I feel like I am a creative person trapped in a non-creative person’s body. Yep. I gave up trying to play a musical instrument years ago, I have long since left the world of creative writing and poetry, I am a mediocre photographer at best, I cannot draw a straight line, and other forms of artistic creativity such as painting & sculpting elude me completely. Over the years, I have explore my creative side in various and sundry means. I Think the last few years I have been applying creativity to problem solving & process improvement. Interesting, but not as personally rewarding as I would like. The SPARK of creativity has been firing on the Game Design front for awhile now. I am quite realistic and do not think that I have the next great breakthrough design that will be an overnight commercial success. This is something I have started doing for fun. In 2009, I finished my first design and prototype; a tank battle game called “Metal Warriors”. I have played it a few times and introduced it to my nephews. I entered the game in the BoardGameGeek database and was surprised to hear that it was reviewed in a podcast by a fellow in Britain. Additionally, a chap in Norway played the game a few times and offered words of encouragement. The fun for me in “Metal Warriors” was more in the design than the playing. It gave me an idea what was involved with fleshing out a design, building a prototype, and writing a rules document that could be used to learn & play the game. I am a fan of simplicity so this first endeavor is quite a simple game. It is classified as a P&P game which mean you can print and play. I think, it is more aptly a P&P&P game. Print, Proxy, & Play. I say this because you need to have some tanks and hex grids that you can proxy to be used to play the game. About 9 months ago, game design ideas started to spark into my brain like crazy. I was having a renaissance of personal creativity. This can be a bit alarming for a traditionally non-creative person. With new game ideas springing out of this creativity geyser, it can be difficult to sleep at times. I am not complaining. I enjoy this new found inspiration and this is a period of happy exploration for me. Currently, we have two designs that we are actively working on. “The Earth Shook” is in playtest mode and I have two friends helping with the design. We are having fun with the game and quite enjoy the game play. The other design is quite ambitious and is a very complex game by my standards. I feel the design has a lot of merit and look forward to developing the game further. I have one friends helping me with this design and we could really use another designer. This will be a very rewarding game to prototype and play. There are a few other design ideas that have surfaced. I have been content to just let the rough notes sit there until I have more time. The thing with me is that I cannot, force creativity. It comes to roost when it is good and ready. I am content to let my muse dictate the pace and course of this period of creative expression. It is fun, challenging, and very rewarding. Thank you creativity for popping back into my life and giving me an opportunity to explore some ideas. I feel blessed to have you here with me. 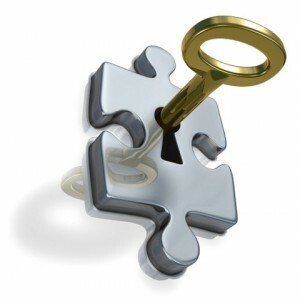 Together we are unlocking the doors to many new and exciting ideas. This is going to come from left field, but the whole SaskGames project is something I am quite grateful for. There has been steady growth since we launched in August of 2010. The site is meeting a demand. I have personally learned a lot about engineering a community through this whole project as well. These things cannot simply be installed and left to grow on their own. A constant and vigilant rearing of the project is needed. I suspect, the project will need close monitoring and coaching for another year. That is ok. I guess I have adapted my expectations to be realistic on this and I am ok with holding a very hands on role in the coming months. I do look forward to the point of inertia where my input and growth initiatives are no longer needed. In the meantime, there is still so much to do. We are still identifying stakeholder groups that could benefit from the site. There are many small groups and clubs in the Province of Saskatchewan established for niche areas of our hobby. Our next step is to look at establishing an outreach program / package to engage them. There are still some clubs and groups that do not want to have anything to do with our initiative. That is ok, it is a free world and a free market. Speaking of free; what we are offernig is free. That is another area where I have commited to supporting the site. I will pick up the out of pocket expenses for running the site. There are some marketing materials that we will want to have developed shortly and there will be a cost associated with printing those. We will need to be judicious in how we address those needs. Additionally, we have been in contact with some national and international gaming associations and clubs. Some of them are looking for a Saskatchewan presence and we are well poised to assist with that. There are so many opportunities for growth in this hobby. It is only a matter of exploring and capitalizing on them. 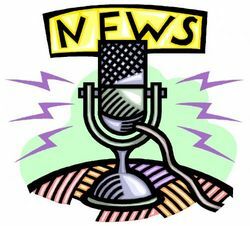 We are also in the process of creating a small monthly eZine that gets emailed out to folks. My mind reels with the things that are moving forward and even more with the ideas waiting to be kicked-off. So why is this a gratitude post? This is a very rewarding project. It warms my heart. Personally, our game group has grown by over a dozen members. I know many other gaming connections have been made. The hobby is so focused on the mainstream Eurogames these days, that many niche elements of the hobby are pushed into the shadows. Those niche interests are finding a home, and a channel to find other members and grow. I guess in many ways, Kathy and I have derived so much joy and happiness from the hobby, that it was compelling to give something back to the community and hobby that gave so much to us. That is what I am grateful for; the opportunity to give something to the hobby community. I want to make sure I make a Karma deposit on my journey once in awhile; this one feels really good. I look forward to seeing this project develop and grow. More importantly, I look forward to seeing the community develop and grow. Despite the work and some of the opposition, this is one of the best initiatives I have been involved with for a long time. Thanks!